The body’s immune system is truly remarkable. A finely tuned, interconnected "ecosystem" of hundreds or maybe even thousands of parts. The immune system is designed to recognise foreign proteins on the surface of cells such as bacteria, viruses and fungi and once activated kill and remove the unwanted guest. It is also designed to recognise the body’s own cells that have gone rogue, such as cancer cells. 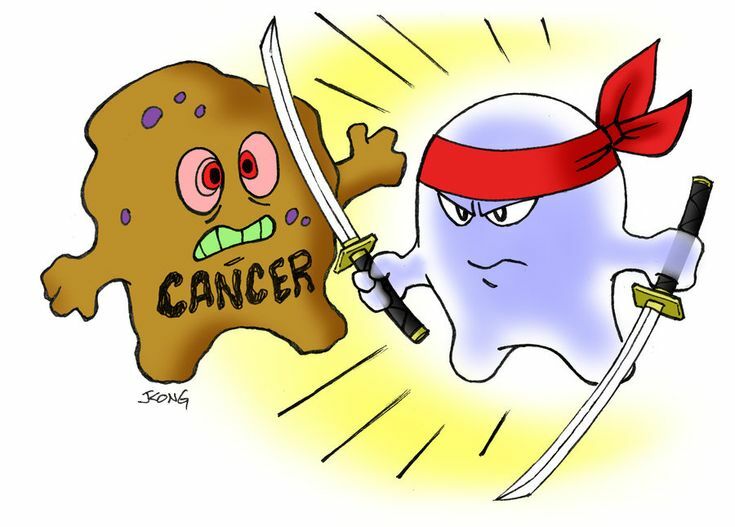 Cancer cells can be tricky little devils though, and they develop ways to evade being detected. Because of this they can continue to grow unchecked by the body’s immune system. Enter immunotherapy. Immunotherapy modifies the body’s immune system boosting its ability to detect and kill off cancer cells through a number of different mechanisms. To be honest though, we have known for a long time that the immune system was important in cancer. To start with, some patients with "immune sensitive" cancers such as melanoma and renal cell cancer have about a 5% spontaneous remission rate. That is, the cancer goes away with NO treatment. Also, earlier on, use of immune therapies such as interferon (a protein made and released naturally by the immune system) also improved the outcome of patients with theses cancers, though when given at high doses by infusion its use was limited because it was too toxic. What has changed is both our understanding of the immune system, and the availability of medications which are able to harness its potential, effectively with greater safety. Immunotherapy is being used widely to treat cancer. The list of cancers which these medications are being used in successfully is growing monthly. With increased use we are learning more about how to best use these medications, and how to manage their unique side-effects. The side-effects, probably not surprisingly, predominantly affect the immune system and result in inflammatory responses in organs such as the gut, liver and skin (though pretty much any part of the body can be affected). These immune responses can be unpredictable, sometimes very severe and may even occur long after the medication is stopped. It means these medications should only be given and managed by health professionals experienced in their use. It is an amazing time to be involved in cancer care. At chemo@home we feel very privileged to be able to administer immunotherapy to patients in their own homes.